Action movie directors often seem to forget something very important in their films: the plot. Hitman: Agent 47 is a prime example of this problem. As the directorial debut of Aleksander Bach, Hitman sets the bar low for the director’s future in the field with its uninteresting characters, terrible screenplay, and mess of a plot. 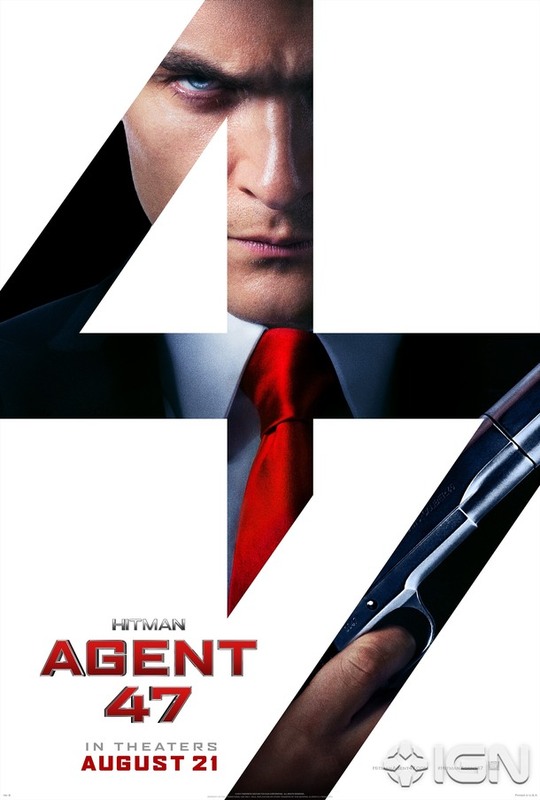 Agent 47 (Rupert Friend) is the product of a former genetic engineering program that sought to create a perfect hitman, created by Dr. Litvenko (Ciarán Hinds). Since the program’s termination, people and corporations have sought Dr. Litvenko in order to profit and misuse his program, which has forced the man to go into hiding. His daughter, Katia van Dees (Hannah Ware), has been seeking him her entire life to answer all of her questions. When she is targeted by Agent 47, they become partners searching for her father. When I discuss movies, I generally try to start with something good before I dive into the bad. So here’s one good thing about Hitman: Agent 47: some of the visual effects are kind of cool, as well as a bit of the camera work. Other visual effects and much of the CGI is awful. Still, Bach does do a fine job of building up Agent 47 as a stone cold killer in some of the scenes. Ever since Zachary Quinto played the serial killer Sylar on NBC’s Heroes, I’ve always thought he was perfect as a villain. In Agent 47, Quinto plays an agent for the international terrorist organization, Syndicate International. I figured he’d be brilliant in this role, but a combination of a lifeless script and bad acting stops Quinto’s character from reaching his full potential. 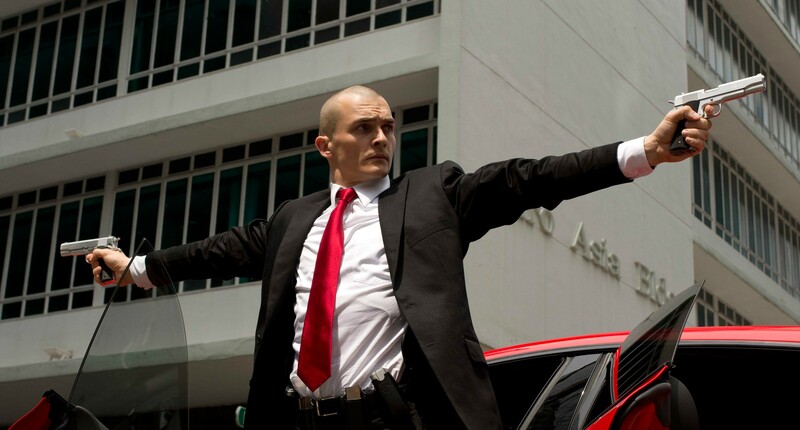 The only notable acting in the film is done by Rupert Friend, who shows the audience the stoic killer in Agent 47, yet also discreetly humanizes the role and catches the audience off guard. Since Skip Woods apparently (I’ve not seen the film myself) dropped the ball on Agent 47’s predecessor, I’m not sure why he was invited back for the new film. Woods proves to the producers that giving him a second chance was a mistake, as the screenplay is nonsensical in the worst way. The plot is unexplicit, but it attempts to be twisted and complex. Nothing is explained, and many of the events are arbitrary. Where ever there is a hole in the plot Bach just throws in a fight scene, as if that’s a functional substitution. The script strikes me as an ill-composed essay that makes assertion after assertion with minimal evidence and commentary. By the time Agent 47 was over, I’d lost count of how many times the plot had made me roll my eyes. There are scenes in which the film tries to go deeper or emotional, but each time it misses the mark. Ultimately, Agent 47 is just a mess, and I hope that this film will be the last attempt at a Hitman movie. Good review, but what about Hannah Ware’s performance as the hit woman? The plot definately robbed most of the actors of any chance of a good performance but some of the solid action scenes plus the surprise addition of Ware I thought was pretty cool! Idk ware just didn’t really stand out to me. I was pretty opposed to her entire character, but I liked her acting at the beginning. What were you opposed to? Thanks for sitting through this so I wouldn’t have to. Mind if we share your review in our site later this week? Of course not, go right ahead!